Your website is the best place to make money online with the different ways. Sometimes it takes a little bit of time, but if you have built a site with good content, going in the right direction, working with a plan and making all your hard work efforts, you can generate a good amount of money. Not getting immediate results; don’t give up re-plan your strategy and carry on the reforming action. The success totally depends over how you monetize your blog. This article is aimed to tell the readers about some methods of making money online. The techniques enlisted below are actually the popular online market trends and on proper implementation can earn you a good cash. First, you need to ascertain that what is your website about and which technique will be the best suit for you. If a technique is not working well, don’t get disheartened, try another. Still, it will be better to apply more than one method at a time. In this method, whenever a visitor clicks on your any ad posted to your blog, you get paid for. You sign up to an advertisement provider and receive a code to place on your website. This contextual ad (either image or text-based) is most relevant to the content of your website. There are many service providers in this field and Google AdSense is the most widely followed. The profitability of Pay Per Click is highly affected by the amount of traffic driven by your website. This is very crucial to attract heavy traffic to earn a good money through this method is only a few percent of visitors like to click on these ads. This is a similar advertising method as the PPC advertising but here, the basis of payment is the number of impressions (page views)instead of a number of clicks; usually, you are paid for every 1000 impressions you get. There are a number of CPM providers out there and can offer you a different rate of CPM payable to you. Of course, you would like to have the highest paying ad providers as they have access to more and better quality advertisers who can pay you more. Here, you have to place some text-based advertisement within the content or text of your article. For example, if you are writing about a tourist destination, you can place a text link on your article that refers your readers to the package tour providers for that particular place. In this method, you are the part of the provider’s Affiliated marketing/advertising scheme and you have to sign up to that specific provider that will automate the service. Quite similar to above-mentioned text link ads, these ads are also places within the text content of your article or blog post. For this, you have to sign up with an in-text ad provider and you will get a sponsored link to be inserted into your content. Such links are shown with the double underline for special visibility than others. And when the user moves the mouse over it a small advertising pop-up appears on a screen. If a user makes a click on it, you make a small amount of money. Such advertisement is regarded better than the others. If implemented properly, you can earn good money through this method. In this apparently new method of monetizing a blog, widgets are used to generate the money on the websites. The design of the widgets is so simple and convenient as they can be easily placed on a web page without any hassle. This is a nice mixture of PPC, text link advertisement and affiliate programs. Your blog can be used as the place for displaying some advertising banners. 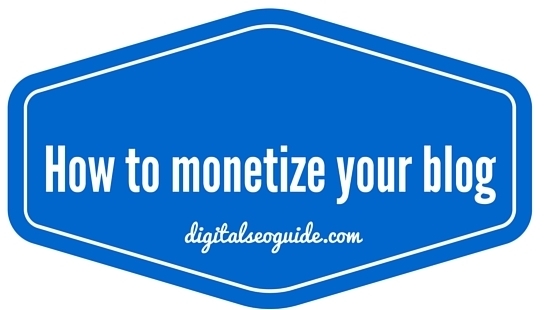 By selling some space, you can monetize your blog. With this idea, you directly deal with the advertiser and charge what you actually want. You display an advertisement on your blog for a certain period of time and for an agreed fee set by a collateral discussion with the advertiser. But, for making a favorable deal, first, you need to make a higher amount of efforts to generate a great traffic to your website so that the advertisers may consider you and accept your conditions. You should have an RSS feed on your website for starting the advertisement placement; just as many of the other website owners do. Most of the RSS service providers are now offering the service and this is very convenient to implement. You can do it by yourself or can offer a sponsor for CPM or PPC advertising as well as text messages and banners. To find adverts for your RSS feed Google FeedBurner and BidVertiser are some good options. Though they are very annoying, still are very common online. If they could be managed in the right way, they can work positively. You should have one or maximum two pop-ups on your website that appears to only the new users so that they can grab the attention of new visitors without boring or bothering them. Most of the previous methods can be applied as affiliated marketing methods, but the best one is “ recommending”. In the particularly great way of monetizing your blog, you generate money through commission get on every sale that is a result of your recommendation. You can refer your viewers from your site with the various methods like recommendations, banner ads, text links and much more. In this more obvious method, you have to write a detailed review about product /service and publish them on your website. It is actually a method of catering your target audiences with the reviewing the products that are related to your website. 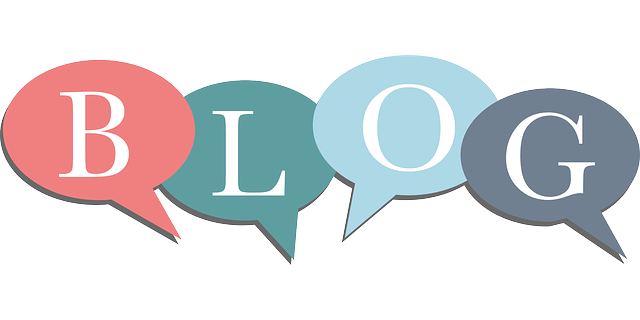 Many bloggers make their websites partly or fully around product review and create content about the variety of topics like holidays, gadgets, movies, cars, home appliances, hotels, restaurants etc. all together these give a good opportunity to earn online money through blogging. How to monetize your website. 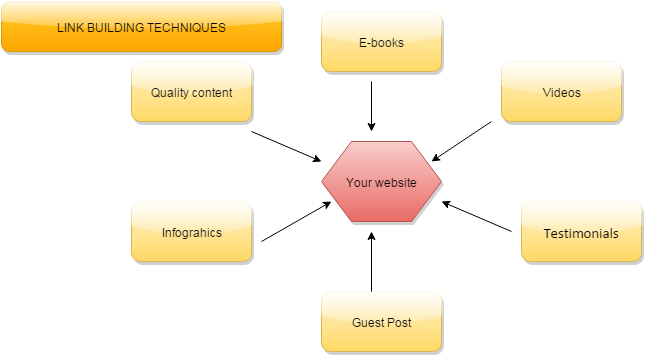 Before you step towards monetizing your website, we suggest an exhaustive investigation of what approaches to utilize? How will it influence your profit? What’s more, how far you need to go to execute these ways? Also, once you have an unmistakable outlook about monetizing your website, you can begin with its implementation. And it won’t be past the point where it is possible to appreciate the productive consequences of monetizing your website.